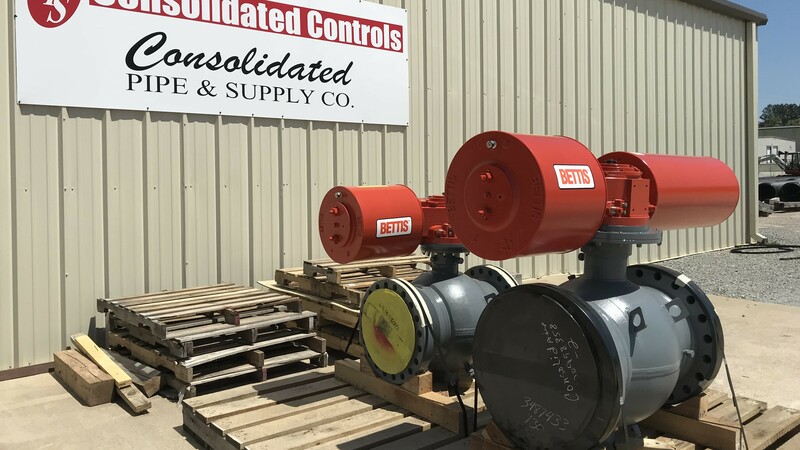 API Actuated Controls – Consolidated Pipe & Supply Co.
Consolidated Controls has two more jobs we have recently completed. One project was comprised of actuated API6D gas ball valves featuring a Bettis Spring return and fail closed Scotch yoke actuators. 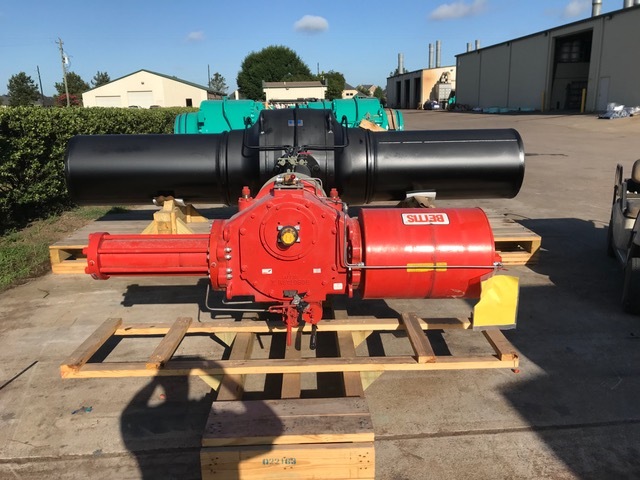 Another was a 24-inch Class 600 WE ball valve with an 8-foot high head extension and two 4-foot pipe pups and a 30″ Class 600 WE ball valve with 9-foot high head extension, Bettis actuator and two 5-foot pipe pups. With projects like these, our Controls division is growing in reputation for large-scale project as customers continue to add CPS to their requisition lists. Controls has new inventory coming in consistently, so something we may not have had may very well be at a healthy stock level now. Learn more about our capabilities and ability to handle valve requests with modifications, stem extensions, and pipe pups. Consolidated Controls has the capabilities to automate and retrofit existing automation and can provide the services for modifications such as high head extensions, weld pipe pups, and coatings for buried service. As we know everyone’s market is a little different and special is its own way, so let us help you develop the perfect solution for your specific applications. Email Blake Creel or call him at 205-714-9239.